I just happen to love the beach. 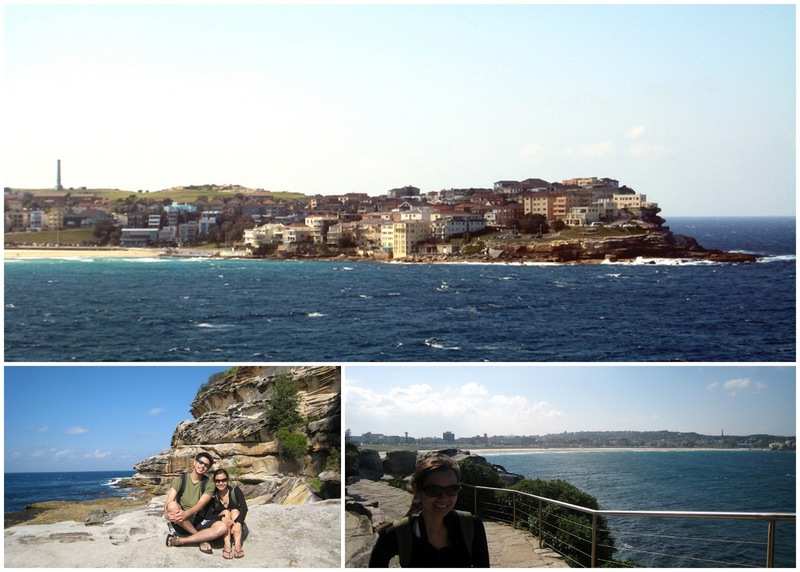 And Bondi is no exception, despite the crowds that are always present and the sea water that's just about as cold as ice. 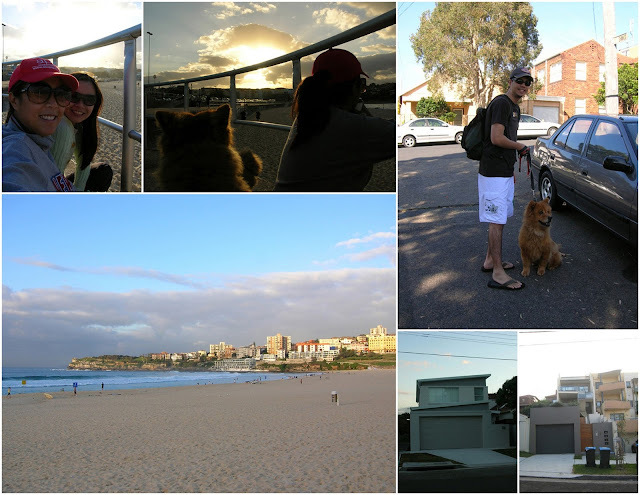 On a trip to Australia a few years back, my husband and I were lucky enough to spend a week in North Bondi, where a good friend of mine lived. 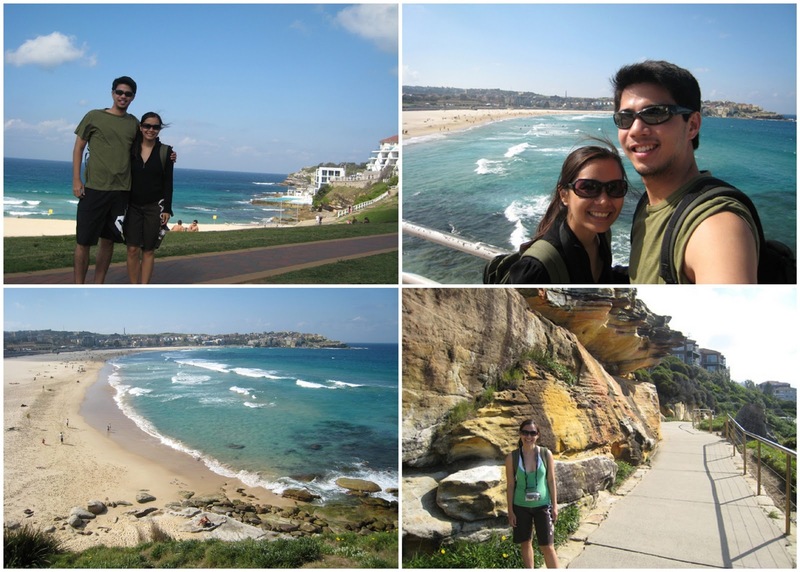 Her apartment was just a ten minute walk to the beach (it's actually not that close by Filipino "walking" standards but close enough hehe). But since we would practically walk there every day, it just seemed to get closer and closer each time. 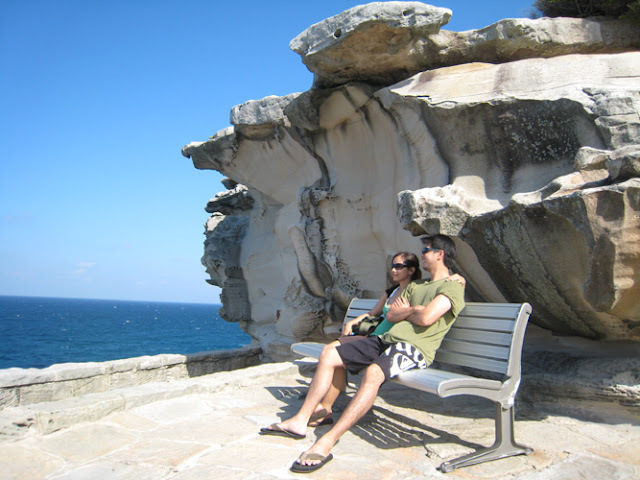 When I first arrived at Bondi Beach, I just loved the atmosphere. It was laid back and easygoing. Shops and restaurants lined the street fronting the beach and people would just picnic by the grass. The views from both the North and South sides of the beach were spectacular. The sand was nice (though Boracay for me is still the best hands down) and I loved the smell of the ocean and the sound of the waves. Everything about Bondi was just what I wanted to experience while I was on vacation then and I wish it didn't have to end. 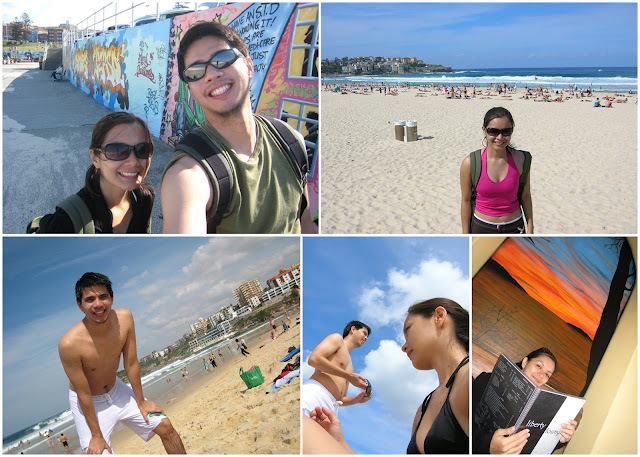 Bondi Beach is just a kilometer long but there's a lot of sand where people can just hang out and sunbathe. We spent as much time as we could on the beach - we swam, surfed (though we encountered a lot of wild and unruly waves! 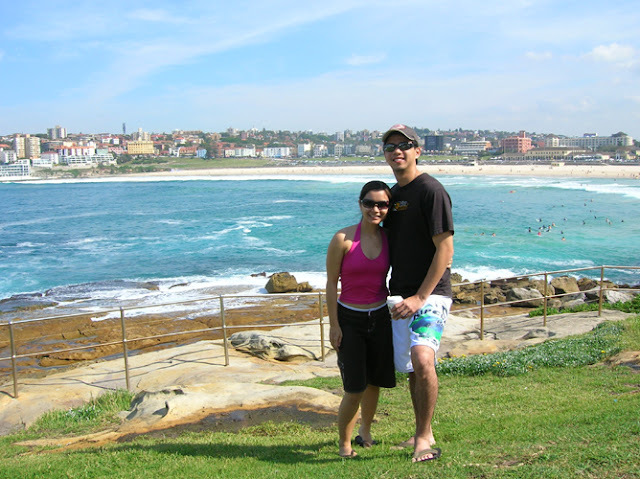 ), and ate and shopped in Bondi whenever we had the chance (got our favorite Australian brand board shorts and swimsuits here - lots of choices and better priced than in Manila - it was swimsuit heaven!). Walked to the beach with my friend Aya and her dogs before sunrise almost every day. 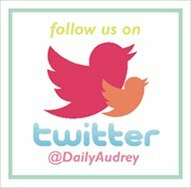 We would stop by one of the small cafes to get a hot cup of cappuccino and some pastries for breakfast. Yum! I also loved the houses that we would pass by while walking. They were small modern houses in muted earth and neutral colors. On the South side of the beach, you can go on the Coast Walk from Bondi to Bronte beach. over at the upper left photo). It was such a scenic walk. 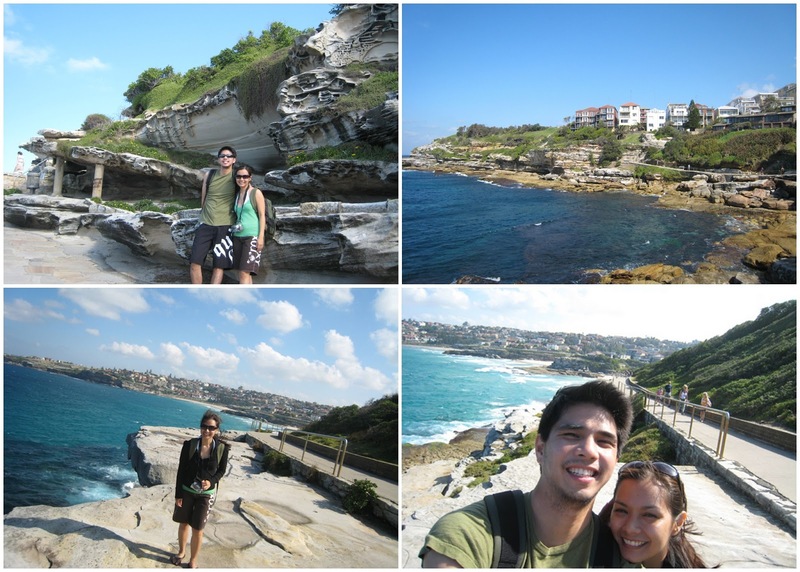 The views were amazing and the cliffs were really a work of art. A view of the houses and apartments on the North Side of the beach is shown above. There were always picture worthy backgrounds in this walk.